PERFECT FOR THE SUPER BOWL! 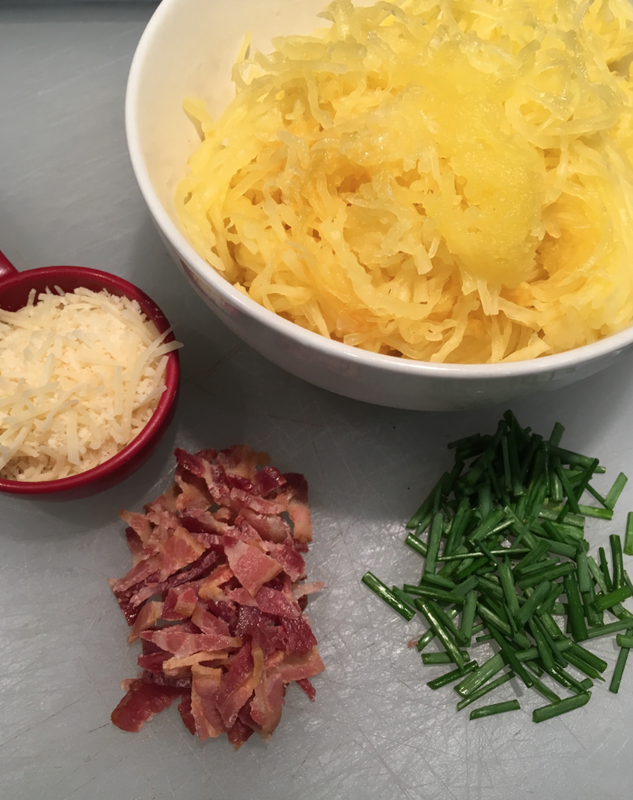 Last week, I shared a spaghetti squash recipe that is simple and easy. Stir fry with your favorite items and serve. 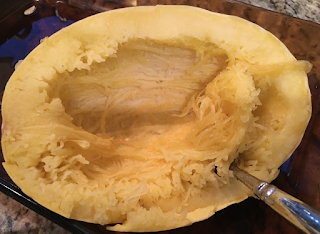 Well, as you can imagine, being single, I had a lot of spaghetti squash left over. One squash yields about 4 portions. 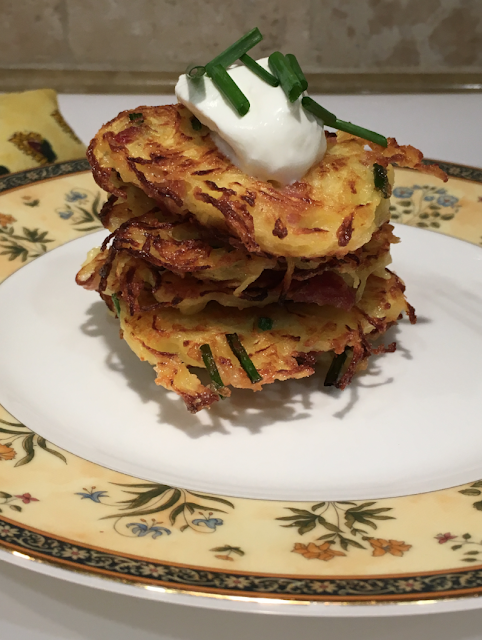 I wanted to make something completely different with the remaining portions. 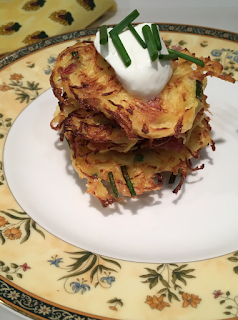 Thinking that the squash might work like diced potatoes, I looked for a fritters recipe and found this one. I made this one gluten-free. 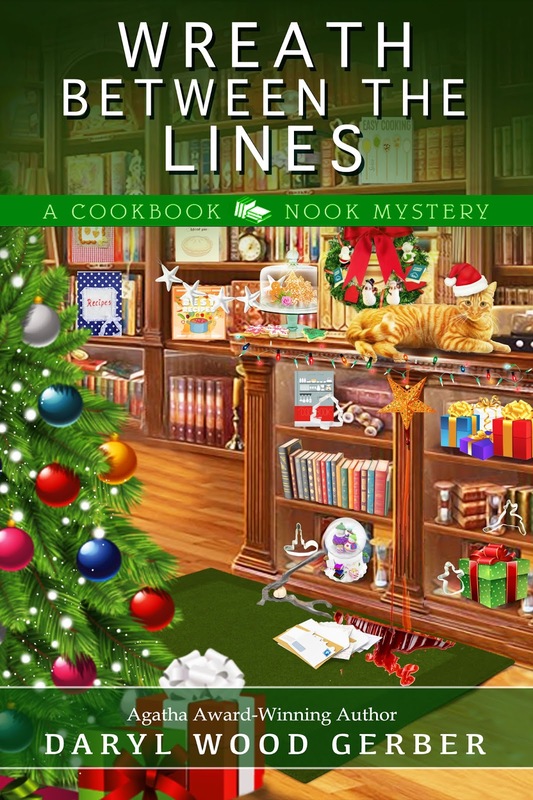 Thank you, Julia! Hope you don't mind I tweaked. 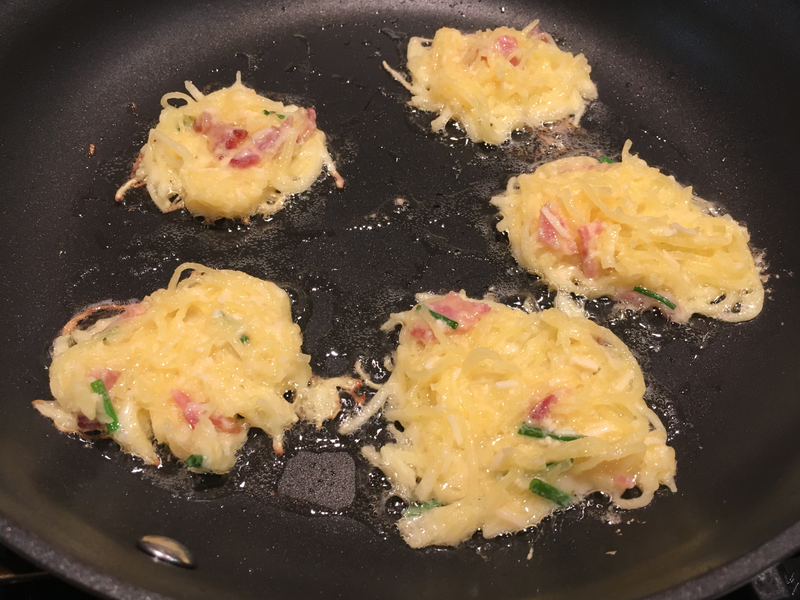 Here’s the link for JULIA'S ALBUM if you want to see her pretty pictures: https://juliasalbum.com/bacon-spaghetti-squash-fritters-recipe/ She makes lots of dinner recipes! Fritters make a terrific side dish or appetizer. You can make them ahead and reheat in the oven so it’s not so time-intensive if you’re planning a party. And FYI, a half recipe (which is what I made) made 15-18 small servings!! Plenty. Cut spaghetti squash in half. It’s a gourd and takes work. Place seed side down in 13 x 9 pan filled with 1 inch water. Bake in preheated oven 25 minutes. When done, remove from oven, pour off the water. Let squash cool about 20 minutes. 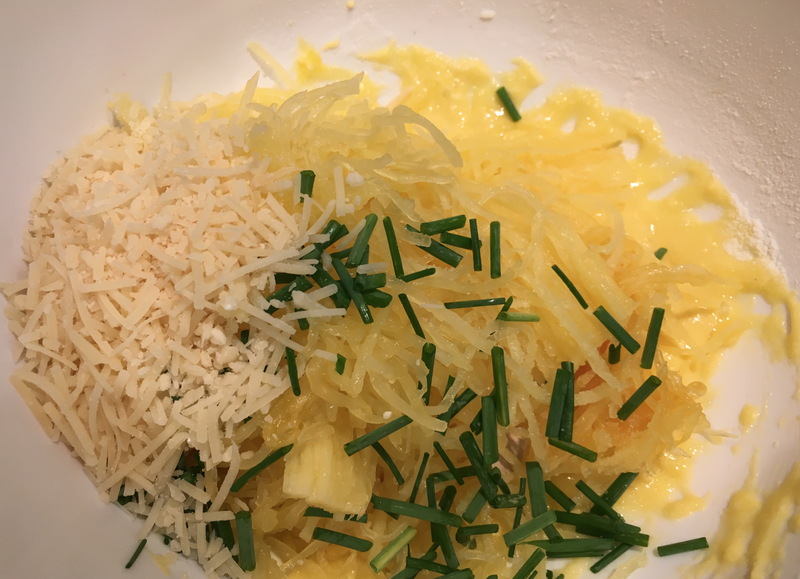 Turn spaghetti squash over and scoop out and discard the seeds. Then using a firm metal spoon, scoop out the spaghetti squash and set in a sieve. Squeeze out the excess water. Set aside. In a large bowl, using electric mixer, beat 2 eggs to 1-2 minutes. Add flour and continue to beat until combined. Add spaghetti squash, Parmesan cheese, green onions, and salt. Mix well until mixture is uniform in consistency. Add chopped bacon and mix well. Heat a large skillet on medium-high heat until very hot. Only then add olive oi;. It should sizzle. Using a tablespoon, drop a tablespoon of the batter for each fritter. Flatten with back of spoon. Cook until the bottom side is golden and then flip. You can use a spatula and spoon to make the flip. Transfer the fritters to a plate lined with paper towels. 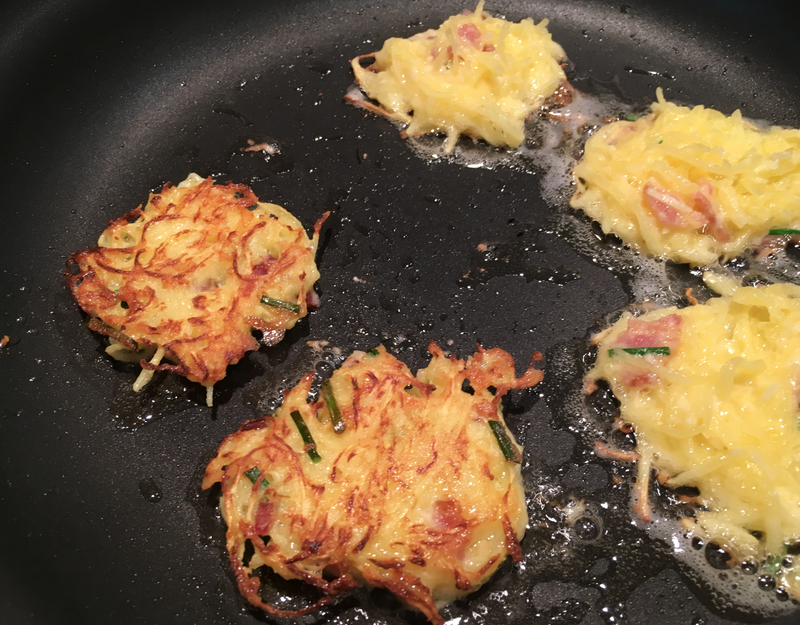 Do about 4-6 fritters at a time. Serve as is, or top with yogurt or sour cream and chopped green onions. The fritters sound like just the snack I need when I watch Super Bowl LIII. I love spaghetti squash. Yum. Thanks for the fritters recipe. 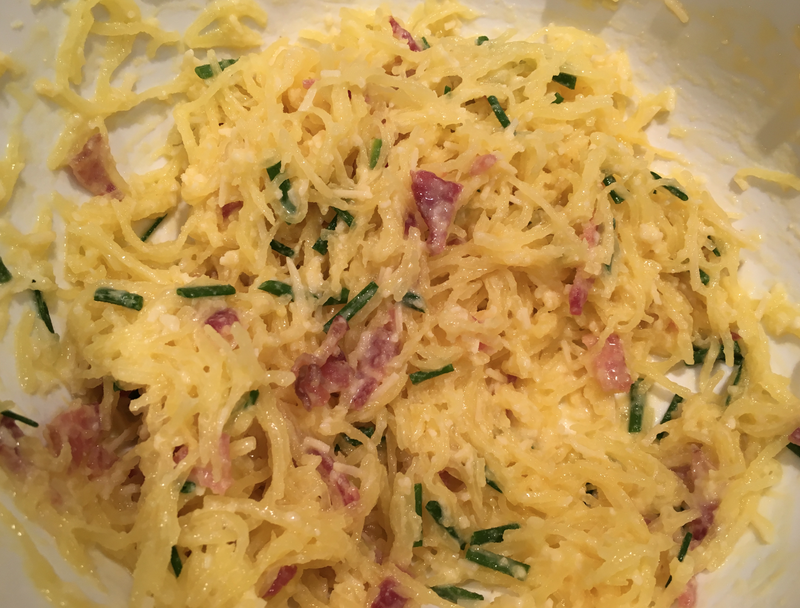 You can do so much with spaghetti squash. I love it! 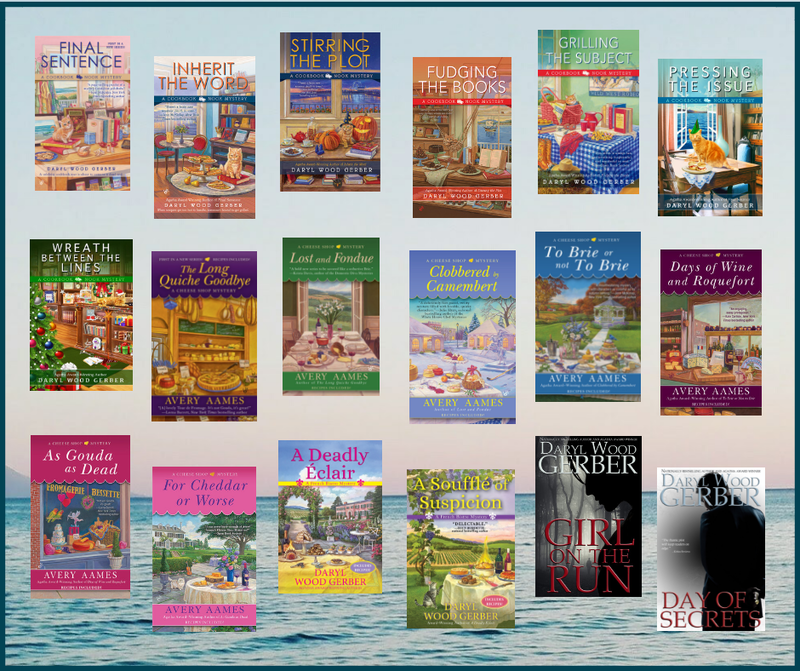 I love your books too! Daryl, these look great -- and I just bought a spaghetti squash! 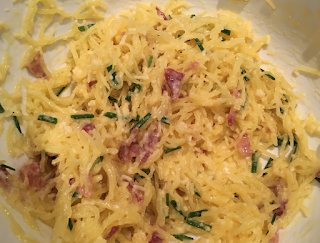 Oddly enough I have spaghetti squash left over from your recipe last week. 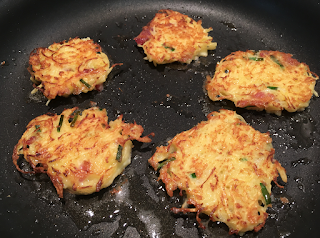 I'll make these fritters IF my son doesn't kill off the leftovers when he returns this evening.